LumaTouch Expressionist is an interactive system for creating abstract artwork by manipulating tangible objects. LumaTouch is an interactive system for creating abstract artwork by manipulating tangible objects. 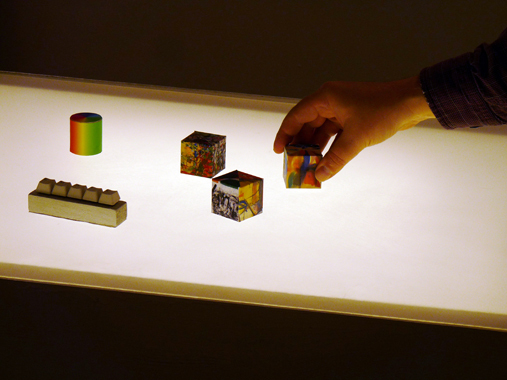 The system consists of a light table with four movable objects on the surface, three small cubes and a small cylinder. The location and angle of the four cubes are detected and used by the computer to warp and combine the 12 reference images. 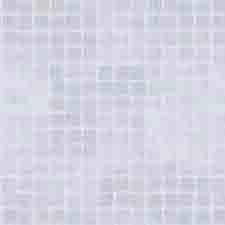 The cylinder is used to adjust the color of the images. By manipulating these objects, the user can create a new abstract expressionist painting, which is projected on a screen behind the light table. LumaTouch uses the OpenFrameworks, an open-source C++ library for creative coding. The tracking used by LumaTouch is based on the concepts from TrackMate, an open-source tracking system.